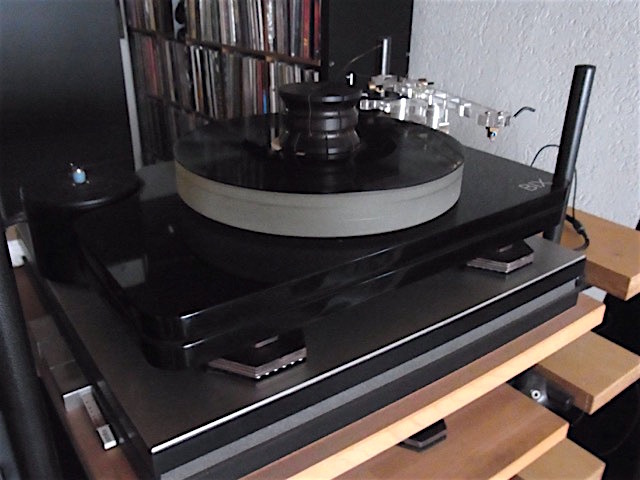 This is how I use the first set of BindBreakers; they are resting on a Silent Running Audio Ohio IsoBase, supporting the upgraded TW Raven Black Night Feet of the TW Raven GT turntable. Yes, they even improve the isolation further... and I thought everything was already maxed out! 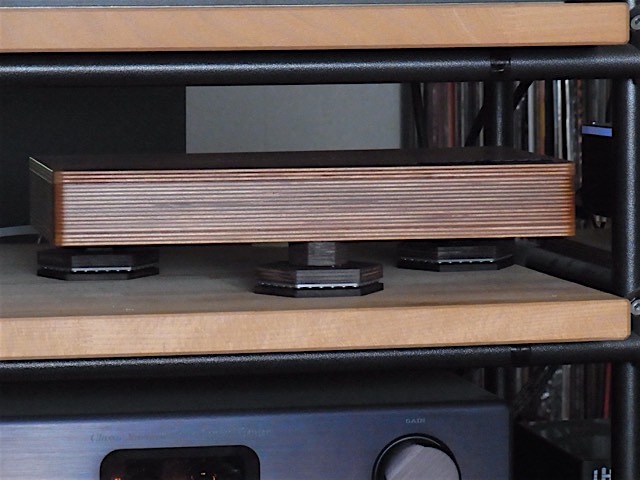 There's more detail & warmth & ambience, and more room to put stuff under the turntable, too - like my new Miyajima Mono Step Up Transformer. Even if the full loom of C-MARC cables and the new distributor (and 3 Bindbreakers, under the distributor) have only a mere 30 hours of play, I can already tell you that it is taking music to new heights. I can't comment about a single cable in particular (XLR interconnect, speaker cables, bi-wire jumpers and 3 power cables, new FW-based custom distributor and Bindbreakers) as they were all connected together at the same time. But what I hear right now is astonishing. 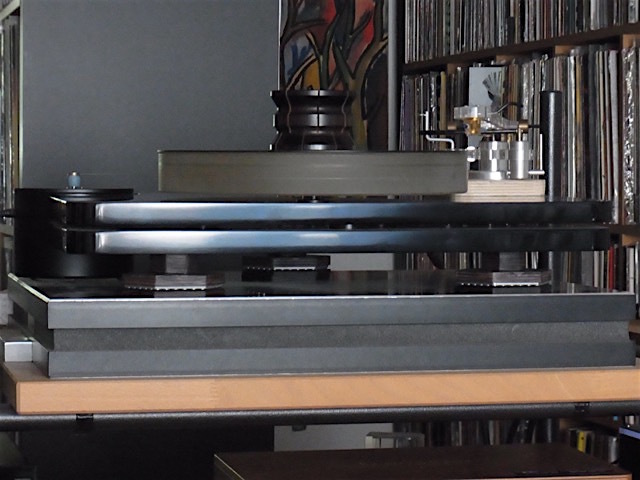 As much as I have enjoyed the DFPC power cables (Original first, later upgraded to Signature) and the HTT interconnect, etc., the full loom of C-MARC cables and the new distributor (and two previously purchased 5X Firewalls) bring the sound of my cd's to an entirely new level. Things keep on evolving very nicely indeed, Louis. It is almost frustrating to realize that so much information was somehow lost or buried during all these years, including 'the LessLoss years' when it all started with a couple of DFPC Originals. About 100 hours of play and the music sounds extremely rich ('creamy'? ), smooth but very detailed, powerful and engaging. 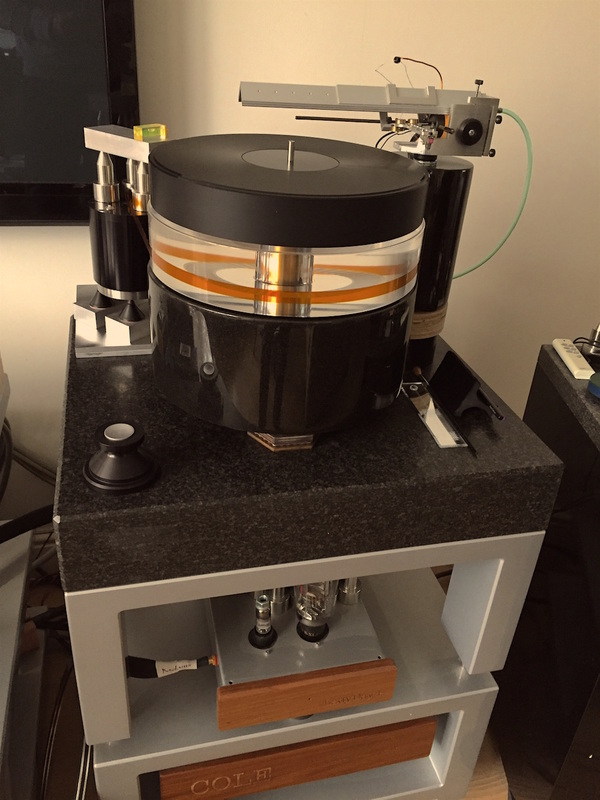 Each cd reveals more layers of details and the C-MARC loom keeps all its promises. When I decided to participate in the early bird program, I have to admit that I was skeptical about the principle of purchasing an idea, a concept and not a finished product. I am very happy that I seized that opportunity! You were right: C-MARC is a game changer. Although I feel that burn-in isn't completed yet, I wanted to inform you about my most recent impressions of the C-MARC loom after around 400 hours. This is way above the level of my DFPC Signatures and HTT speaker and interconnect cables. When I return to my previous comments about these cables, it could potentially appear that the level of improvement that the C-MARC loom has brought is 'not believable', 'over enthusiastic' or worse, solicited and/or paid for. The extent of the improvement brought by the C-MARC cables is nothing short of dramatic. 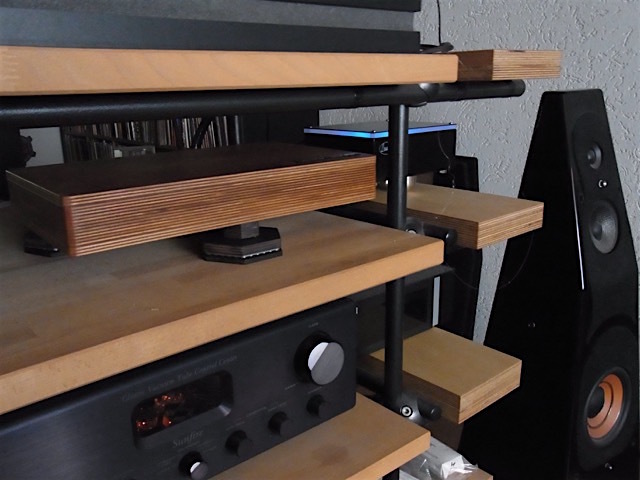 And as my 'main' components haven't changed over the recent years (Ayon cd player and amplifier, Sonus Faber speakers), I can comfortably 'feel' and hear the upgrade brought by the C-MARC loom. But owning tubes components, I have to say that burn-in is a pain... I wish I owned a second system to which the cables could be connected to for 500 hours. Witnessing the burn-in can be perceived by some as a nice process but not for me. Luckily, my patience was rewarded (and in this case, the upgrade was obvious even early on in the burn-in process). Being familiar with your cables, I am quite sure that the sound will still evolve in the course of the next few weeks. I don't think it is useful to try to go deeper into details; I am not a reviewer and not even an audiophile. But I can say that once again, you came up with a fantastic series of cables that clearly outperforms anything I owned previously, including much-loved LessLoss cables. See the attached pictures of the Bindbreakers under my turntable. The perfect match! 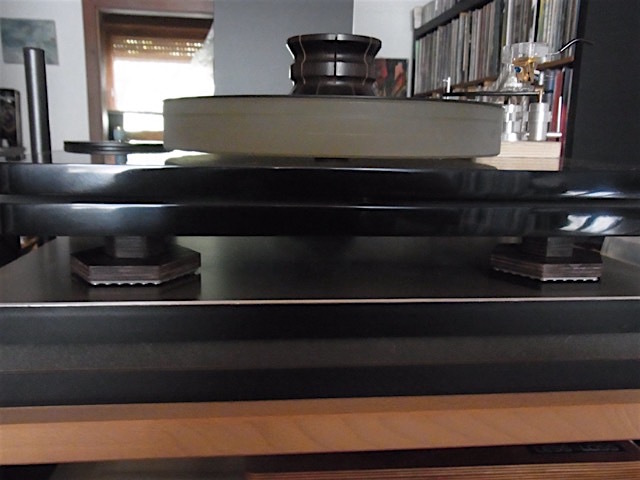 The turntable is my own work in progress since the last 10 years. Completed with a top platter (black on top) and record clamp of Acoustical Systems. 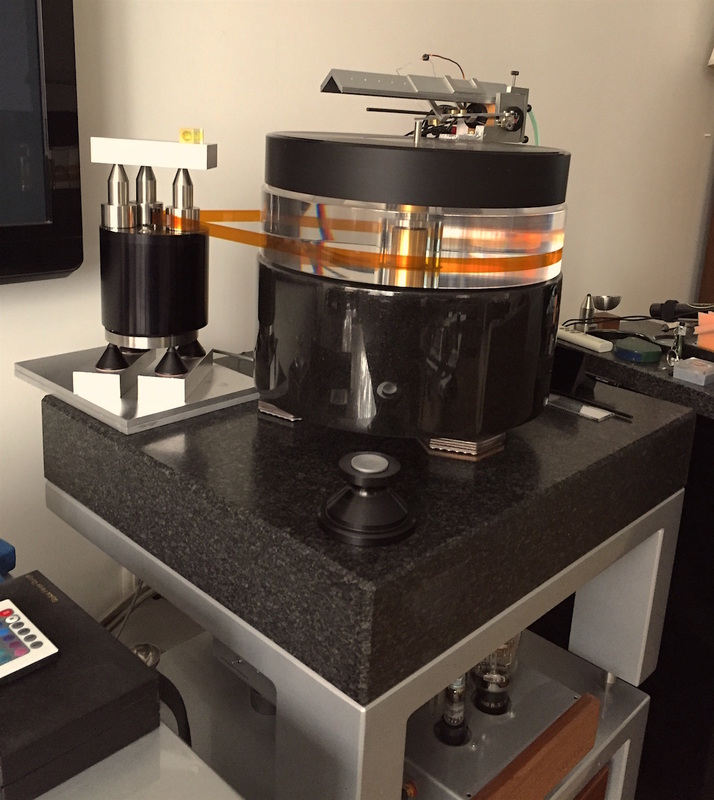 The tonearm is the Terminator arm from Transfi Audio. 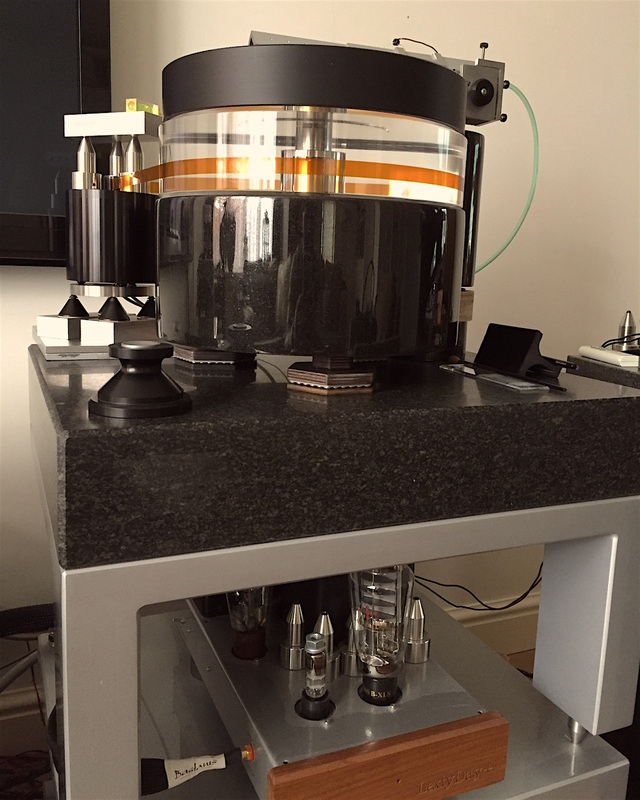 Cartridge is ZYX R1000 Airy II Cosmos silver base, and cabling is Audio Note pure silver. Battery supply for the motor and air supply for the arm. Very natural sounding analog front end. Belt is Kapton, endless tape. Base, support table and arm base are made out of granite. Platter base is 40kg, total weight is approx 175kg. Burglar proof! You're happily invited to visit and listen, whenever you are in The Netherlands. I have to thank you for the innovative Bindbreaker. It took me more than three years to get the right footers under this table! Your innovative thinking and explanation made me jump in and buy them, very happy I did! Very nice results, much better flow. Enjoying great music! I have to thank you sir! The Bindbreakers arrived and since Friday I compared them to the footers that ​I have used before. These are the Symposium Rollerblock Jr. and the Synergistic Research MIG 2. Both are reasonably priced and make a nice improvement to the sound reception. But they are not on par with the Bindbreakers. Placed under the turntable I didn’t expect to much, as the turntable rests also on a thick Symposium shelf. Wow, how could I be so mistaken? The improvement was not subtle, but, well… that could be settled somewhere between big and huge. It seemed as if the Bindbreakers ​do such a good job, that it feels as if all the information from the vinyl is sucked out and transported to your ears. And again it is not the often heard technical improvements that come with gear or tweaks of other competitors, but the same as is the case with the DFPC power cords, the Bindbeakers come with pure musicality and naturalness of tone. You can sit back relaxed and listen in awe of what you’ve missed before. It would be interesting if there is a customer who can compare the Bindbreakers with footers like Stillpoints or Finite Elemente that come with sometimes insane prices. Two days before receiving the Bindbreakers my CD drive gave up the ghost and has to be repaired. So I had to install my old Ariston CD player as a drive and connect it with the Echo's End. This showed the superiority of the Bindbreakers that took their place below the Echo's End. 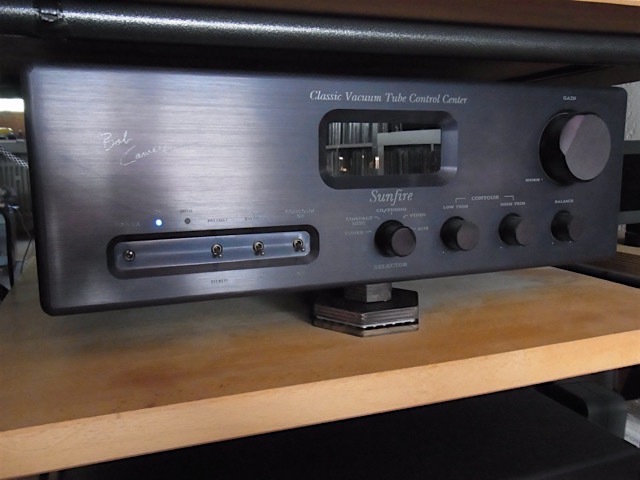 The combination of my old player with the Echo's End and connected with an old RCA digital cable from Zu outperformed the much better CD drive that was connected with a shorter, more classy AES/EBU cable to the Echo's End. 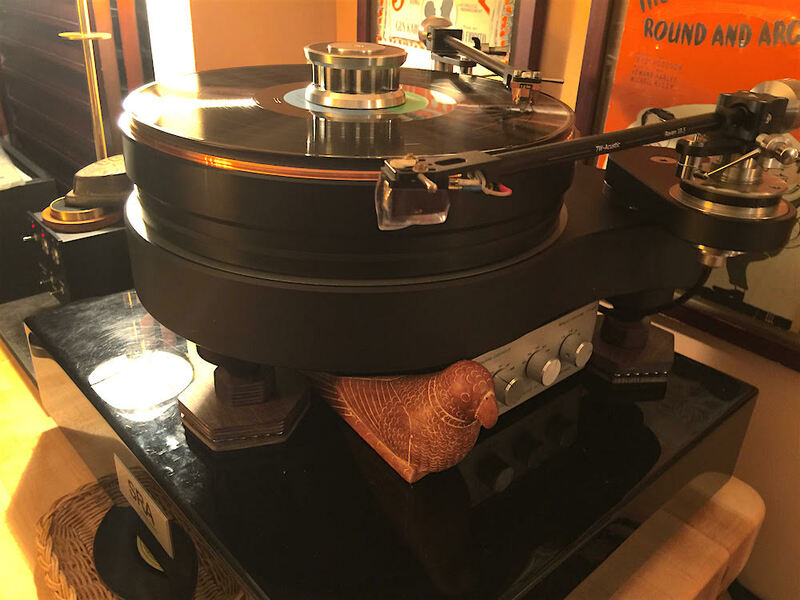 The CD drive was placed on a Sicomin base, the Ariston player sits on a cheap, sort of Sorbothane foot. How much better will this get when my CD drive is back from repair? Also the Bindbreaker looks much different than similar tweaks of other manufacturers, I really like the design, and form follows function here, and not vice versa as is the case with some sofas that look nice, cost a fortune but gets your back in pain after resting half an hour. I'm very very pleased with the performance of the Bindbreakers and they will definitely stay here. LessLoss came up with another reasonably priced item that gets the highest scoring. Thank you. Date Added: 09/15/2016 by Michael R.
Just got my Bindbreakers yesterday. Once again LessLoss has done it! 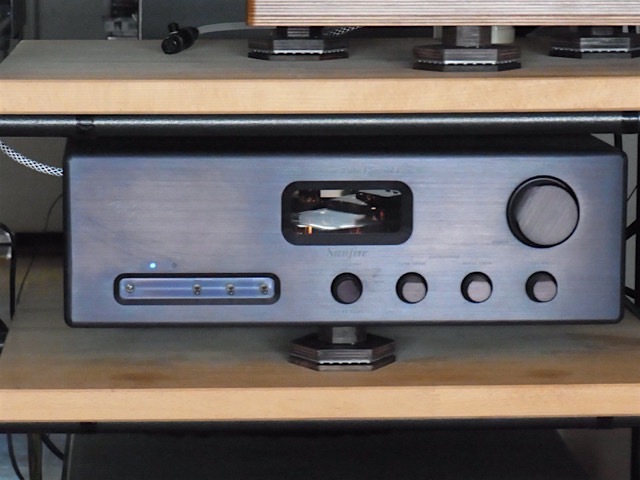 I have a very thick maple board and points from Mapleshade under my Meridian C-D player. Very fine improvement with these several years ago. But taking out the points and replacing them with Bindbreakers over the maple board showed a small but absolutely clear improvement in clarity and presence in my C-Ds. I've been listening these past two days to several C-Ds thatI I know well. It is a joy to hear them again! That much more real, clean and present. I've never been disappointed with a LessLoss product. Still true!